Aquaponics combines aquaculture (raising fish in a contained environment) and hydroponics (growing in a soil-less, recirculating water system). A variety of crops, from specialty salad greens to tomatoes, can be grown. In an aquaponic system, crops are noted to grow 2-3 times faster than in traditional soil environments. Aquaponics is a very low maintenance method of growing that requires minimal resources (energy and water). Using gravity, water is drained from the fish tank into a trough. Here, beneficial bacteria break down the toxic ammonia in fish waste, convert it to Nitrite and then to Nitrogen, a key nutrient for plant development. This naturally filtered water is pumped to the grow troughs. The water is wicked up to the crop roots with the help of coir, a by-product of coconut shells and a sustainable replacement for peat moss, since no soil is used. Finally, the water flows from the growing beds back into the tank of fish. When using aquaponics in a controlled greenhouse environment, fish and organic produce can be grown year-round to provide a healthy food source to anyone, anywhere. As a sustainable agriculture, aquaponics can grow fish and produce, faster and more efficiently, using 2% of the water, and 70-90% less energy than traditional farming, while producing eight times the vegetables. When you grow produce using Aquaponics, you get the freshest produce that has its full nutritional value and was raised without any pesticides or herbicides. 95% of all food in the US is produced with toxic pesticides and herbicides. 70% of our diet is processed food and 70% of that contains genetically engineered ingredients. Since 1950, many types of produce have lost 50% of their nutritional content. Our food travels an average of 1500 miles from field to plate. Learn more about the benefits of aquaponics. 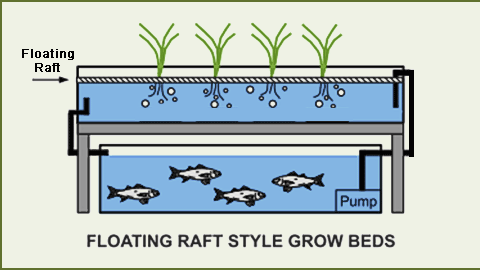 Aquaponics uses around 90% less water & 90% less energy than conventional in-ground growing. It is electric based, it can easily be converted to alternative energy, i.e. solar, wind, bio fuel. It is 10 times more productive per square foot than conventional in-ground growing. It is naturally organic. It is scalable indoors or out (any size, anywhere). If indoor space available, growing can be year-round. In-depth info on what is aquaponics • benefits of aquaponics • FAQ's. Plant your seed, Feed your fish, and Harvest !!! Our efficient pump uses less electricity compared to competing systems, and costs just pennies a day. Our system is portable and easy to move - inside or out. 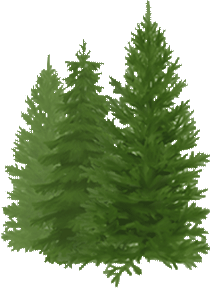 First-class customer service; Evergreen Lane Farm support is available at no additional cost for trouble shooting any system-related problems by phone or email. We stand behind our kits and will replace any defective part ASAP. Visit our kit catalog page which describes the various kits that are available. Visit our Accessories and Supplies catalog page to see our selection of rafts and pucks. Our aquaponic systems are portable and can be used inside or outside with very little effort. The modular construction of the system allow for it to be expanded at any time. The system has multiple uses. It can be used as a raised bed garden, it can be used outside or inside with a grow light. The system uses very little electricity The system uses a gravity feed design to minimize electrical use. The system uses less water than conventional growing techniques. The system requires very little maintenance. There are no filters or gravel to clean. The parts used in the Aquaponics kits are all rated as "food safe". This includes the rafts, liner, fish tank, and piping. Evergreen Lane Farms will provide help with assembly and setup as needed. Support is available via email and phone. For our Philadelphia area customers, on-site setup can be arranged for an additional fee. We offer a one year warranty on all parts included in our kits.